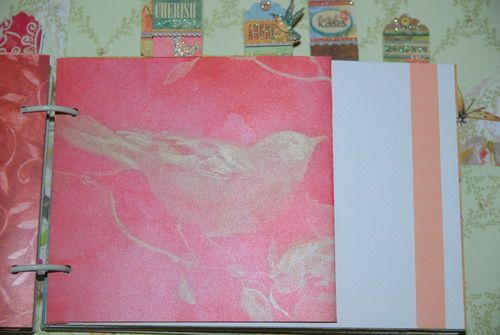 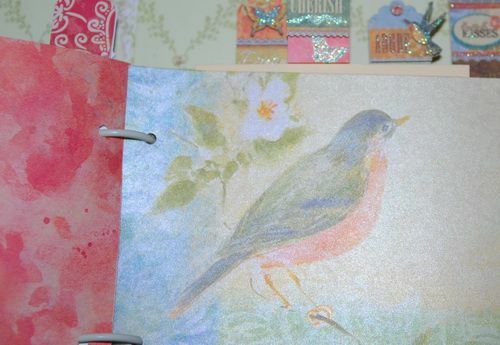 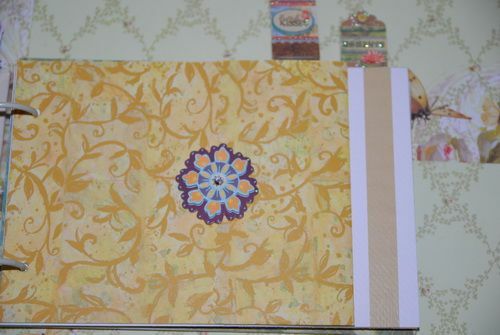 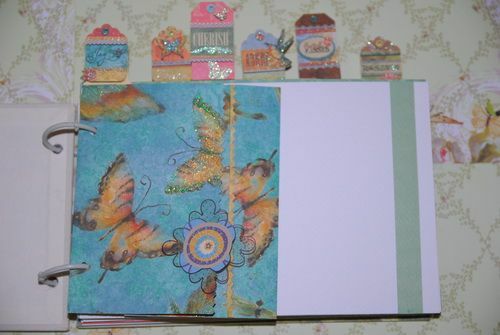 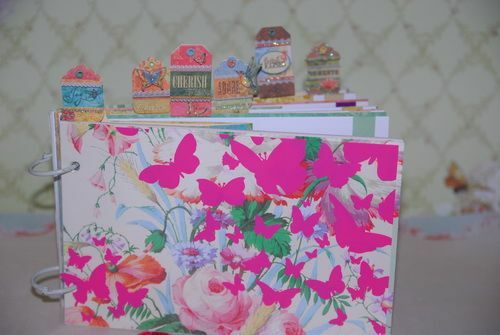 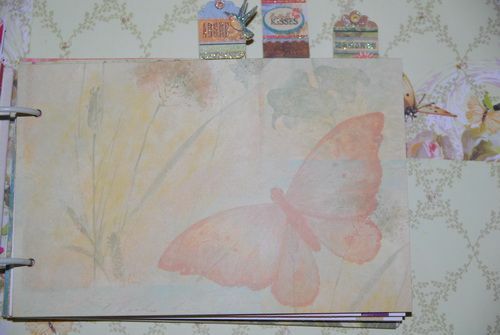 This is an Spring album that you can use to place your photos, write, draw or use for your drawings. 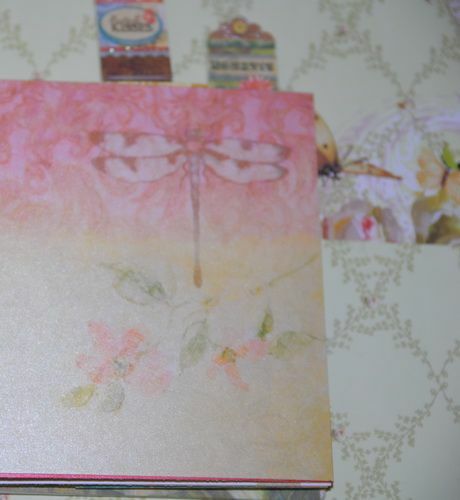 You receive it like in the picture! 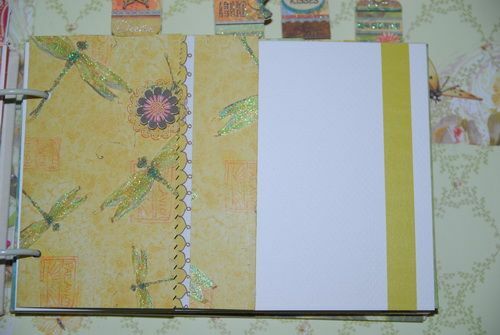 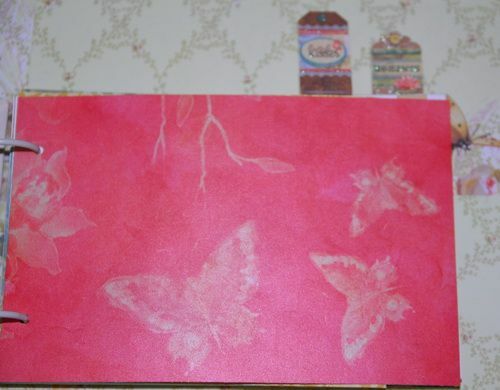 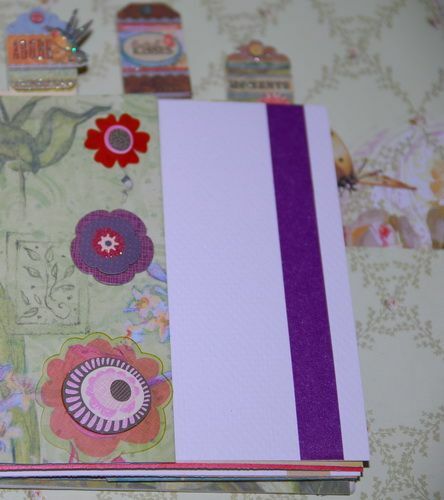 The rigid cover is made with cotton and cellulose covered with floral paper from "Anna Griffin" and transparent Hambly. 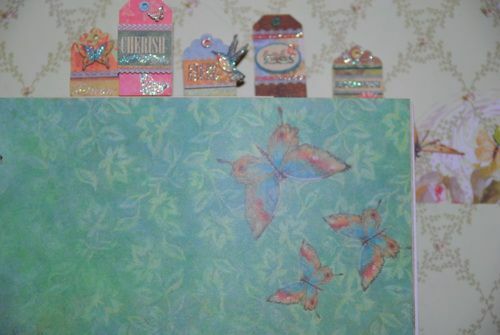 6 cards "Manila" from 7Gypsies (inside envelope).